In 1850, a modest employee at the Louvre gallery in Paris, arrived in Egypt charged with the acquisition of Coptic manuscripts. This was Auguste Mariette. An acute observer and an expert on ancient texts, on his own initiative he organised digs at Memphis, between Saqqara and Abusir, thus bringing to light the Serapeum, the necropolis of the divine Apis bulls which were worshipped. This important archaeological discovery - to be followed by that of the lower temple of the Pyramid of Khafre - brought fame to the unknown clerk and in 1858 he was appointed by the Viceroy Said Pasha as Conservator of Monuments with extensive powers. He was responsible for the creation of the Museum of Cairo and, on his death in 1882, he was buried in the museum courtyard. Mariette's successor was Gaston Maspero who undertook important excavations at Giza and Luxor. He was also responsible for the discovery of the famous cachette at Deir al-Bahari where the mummies of a number of pharaohs from the 18th and 19th Dynasties (1550 - 1185 BC) were concealed. Between the end of the 19th and the beginning of the 20th centuries, archaeological campaigns followed one another in rapid succession, but were now regulated by legislation that required a fair division of the relics found between the countries financing the digs and the Egyptian government. Among the most well known financiers was the British aristocrat the Earl of Carnarvon, who spent much time in Egypt for health reasons. Here Carnarvan met a young English archaeologist, Howard Carter (born in 1874) and commisioned him to undertake excavations on his behalf. 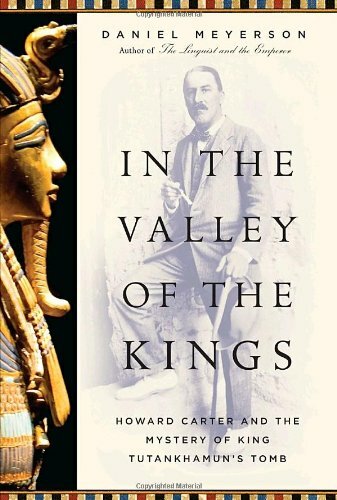 After various digs, in 1914 Carnarvan obtained permission to work in the Valley of the Kings, an area that most experts considered to be archaeologically exhausted. On examining a number of clues, Carter was convinced that the valley contained an unknown tomb that ought to belong to the pharaoh Tutankhamun, a name that had been found on an artifact discovered in the temple of Karnak and on a number of relics found in the valley itself. The outbreak of the First World War obliged Carter to postpone his search until 1917. Excavations went on with no great results until 1921. Lord Carnarvan who had invested significant sums, was on the point of abandoning the enterprise and suspending his financial support, but allowed Carter to make one last attempt. Work began in the autumn of 1922: on the 4th of November one of the workers found a stone step, the first of a flight that descended into the rock. Carter, perhaps expecting the long-awaited discovery, covered the find up again and telegraphed Carnarvan in England, asking him to reach the site immediately. Work began again on the 24th of November and the staircase was soon cleared and the two Englishmen found themselves before a sealed doorway, followed by a second intrenal door. Both carried the seals of the necropolis and the name Tutankhamun. On the November 26th , Carter, Carnarvan and his daughter Evelyn, and the archaeologist Callender, who had recently joined the dig, could finally make a hole in the second door and observe the interior of the tomb and the treasures in contained. This was the first and to date, the only royal tomb to be found practically intact in the history of Egyptology, even though study of the remains revealed that in antiquity it had already been the object of two violations, fortunately without serious consequences. The emptying of the tomb of Tutankhamun took years with around 3,500 objects being recovered, including the famous solid gold sarcophagus weighing over 110 kilograms, confirmning that this was the most exceptional archaeological find ever made in Egypt. In 1939, the French archaeologist Pierre Montet, who was conducting a dig in the eastern region of the delta, San al-Haggar, the site of the ancient city of Tanis, discovered the unharmed tombs of the pharaohs of the 21st and 22nd Dynasties (1075 - 718 BC). The magnificent funery cache found in the tomb of the pharoah Psusennes, composed of jewels, gold and silver vases and the gold masks, reveals remarkable artistry. Alongside the tomb of the sovereign, Montet discovered a further four belonging to Psusennes' successor, Amenemophis, the general Undjebaunded, Osorkon II and the pharaoh Sheshonq II. The discovery of the royal necropolis of Tanis and its treasures closed an era in the history of Egyptology which had begun with the discoveries by Belzoni and continued with Carter. However, Egypt, has continued to reserve surprises for the researchers: finds of great importance have in fact continued up to the present day. In 1989 an extremely interesting cachette (a hiding place) was found within the Temple of Luxor that contained statues in perfect condition and dating from the New Kingdom. They can today be seen in the Museum of Luxor's gallery. The discovery that has aroused most interest around the world has been that of a necroplois from the Roman Period, between the 1st and 2nd centuries AD, in the Bahariyya oasis; in 1996, a donkey's hoof sank into the quick sand and the small hole produced revealed the exitstence of a subterranean tomb. In the months that followed, the excavations guided by the celebrated Egyptian archaeologist Zahi Hawass brought to light around one hundred mummies wrapped in gilded cartonnage: for this reason the necropolis is now known as the "Valley of the Golden Mummies". As the area is very extensive, experts believe that in the future over 10,000 may be found and that excavation work could last for decades. Another very recent discovery is that of the intact tomb of the govenor of the Bahariyya oasis who lived around 500 BC, when at the height of its economic development. The tomb was found to contain a limestone sarcophagus with hieroglyphic inscriptions and a cache comprising many amultes in gold. Lastly, at Alexandria, the Frenchman, Frank Goddio, an expert in submarine archaeology, has brought to light numerous relics and identified the submerged island of Antirrodus where Cleopatra had a palace.